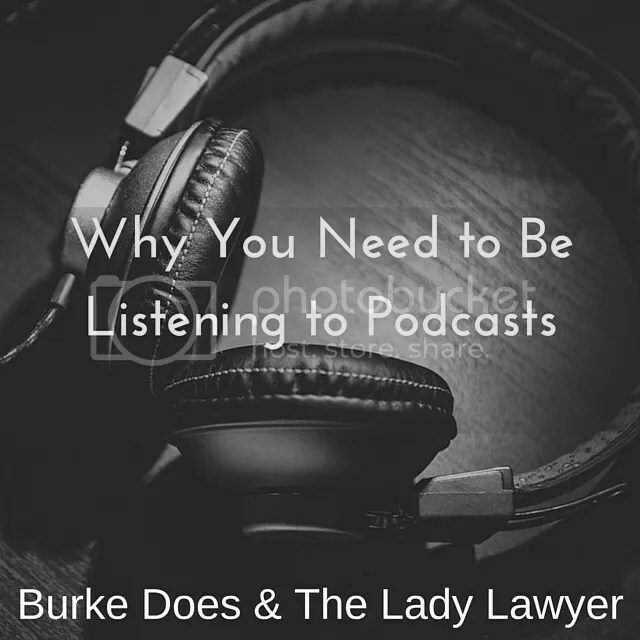 Last week, I teamed up with the darling Brittany from The Lady Lawyer to write about podcasts. You can read about my favorite podcasts here. Well, I couldn’t just stop there. I got so many comments about how people didn’t have time to be listening to podcasts that I knew I just had to share more about why they’re so great, so Brittany and I are back. You can find Brittany’s post here. Make sure to stay all the way to the end because we’ve got an awesome giveaway for you! Time saver! There are so many things that we have to do every day. I walk to and from work. I drive to rugby practice. I fold laundry. I cook dinner. I lift and workout. I feel like I’m running around for most of the day. Podcasting lets me multi-task while doing all those mundane things. Constant learning! On that note, it also gives me the chance to be learning new things- like how salmon sushi came to be a thing that we love to eat- while doing those tasks that just need to get done. Free! I love reading, but books are expensive. Let’s be real here. Podcasts, on the other hand, are free. Yes, f-r-e-e. When I wake up in the morning, I roll over and turn on a podcast to help me wake up. Then, I listen to a podcast while at the gym. I listen to more while cooking and meal prepping for the day. Finally, I listen to podcasts on my walk to work. At work, I don’t listen to anything that might be distracting so I can focus on my job and things that need to get done. After work, I listen to a podcast on my walk to the grocery store on Mondays, on my drive to rugby practice on Tuesdays and Thursdays, and my walk home on Wednesdays and Fridays. How wonderful it is to have all these opportunities throughout the day to be learning! Because Brittany and I love the opportunity to share with bright women like us, we’re co-hosting a giveaway for Ashley Shelly Budget Besties! A lucky reader will win a Ashley Shelly Budget Notebook, which includes a bills list, savings tracker, financial goals, purchase wish list, 13 full spread layouts for budgeting, a debts overview, and debt repayment plans inserts, as well as the an Ashley Shelly Notebook Bestie!